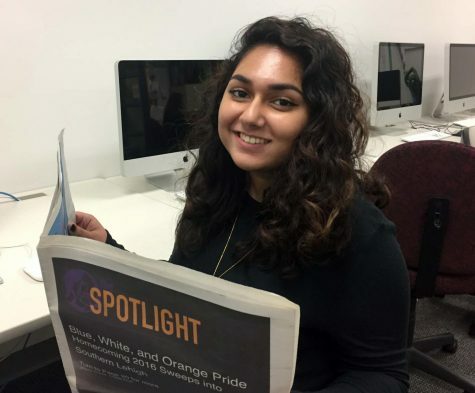 Senior Izza Choudhry is a four-year staff reporter and former one-year copy editor and one-year news editor, now serving as opinion editor for the Spotlight. Outside of school, Izza enjoys volunteering, reading, attending concerts, and traveling. While Izza is very indecisive about her future career plans, she is definitely planning to major in psychology in college, hopefully at either George Washington University, or University of Pittsburgh. Izza is fluent in Urdu, and is learning French.